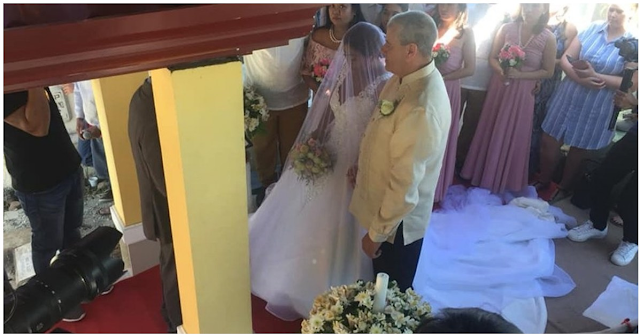 A filipina Vicky Martin and her Australian boyfriend John Schaw had made their wedding vows in front of Schaw's parents' gravestone. It might find a weird venue to most guests but the idea is came from John - to show his love to his father. They felt that it was the right way to include John's father in their Big Day. "It just felt right," John said. The family of the couple had been supportive about the idea and the celebration ended to honor with John's father. You might now include these idea to your future dream wedding.